There’s no doubt about the fact that we are all avid followers of fashion. We stay abreast of all the major news, we jump at the chance to shop new collaborations, and we stalk our favorite bloggers’ Instagram feeds like it’s our job. But sometimes, being a fan can swiftly escalate to a full-blown addiction before you know it. 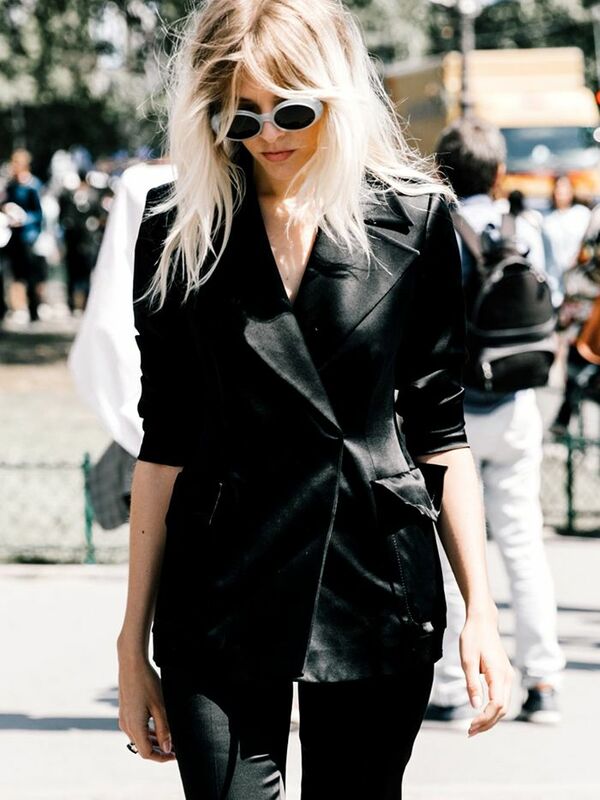 Scroll down for 25 signs you’re a total fashion addict! If you think they're ugly, you just don't get it. 2. You use your car as a dressing room/portable closet on a semi-regular basis. Shoes? Check. Bags? Check. Extra hangers just in case? Check. 3. You have an alarm set for precisely when next season's Chanel Couture show starts. If it's in the middle of the night local time, no matter. You will get out of bed for it. 4. You have your credit card number memorized. It's Jee-vohn-shee, with a soft "j" sound. Duh. 6. You consider it totally reasonable to spend 50% of your paycheck on a single handbag. After all, what else are you gonna spend it on? 7. You think you're on BFF status with all the Kates, and you don't care how delusional that is. Stop trying to make fetch happen, Kate. 8. The homepage of your iPhone essentially looks like a mall directory. Net-a-Porter app, check. Bloomingdale's app, check. A depleted bank account, check. 9. You have to refrain from calling out your mom when she tries to pass off her Marc by Marc Jacobs bag as a Marc Jacobs bag. It's okay. Let her have her moment. 10. In your version of the dictionary, a mule is not an animal—it’s a form of footwear. And you are tired of explaining this to non-fashion people. It's just like how Carrie Bradshaw saw her closet as an actual investment. You see it as full of actual friends. 12. You judge the quality of your outfit by how #ootd worthy it is. If it doesn't make the cut, it doesn't leave the house. 13. You always overpack for trips because you know you’ll want outfit options when you arrive. Instead of packing light and shopping for necessities when you arrive, you pack heavy and then shop for extras. 14. Pajamas are not just something you wear to bed. They are definitely acceptable to wear to dinner, to brunch, to the airport, and anywhere else you want. 15. You see absolutely nothing wrong with raiding your boyfriend’s closet on a semi-regular basis. And you do so, freely, despite his objections. 16. When you go rug shopping, you feel an uncontrollable urge to turn your favorite ones into dresses. There are just so many great rug prints out there, you guys! 17. Even a slight mention of the word “sale” can quicken your pulse. 18. You refer to Phillip, Derek, and Prabal on a first-name basis. Your Instagram feed has fooled you into thinking you're besties. 19. You keep your shoes more organized than your important documents. You have no idea where your social security card is, but when a pair of shoes is out of place, you totally lose it. 20. You strike a deal with your man that every time he talks about sports, you get a free pass to buy something pretty. One more mention of the World Cup = one more lovely pair of strappy sandals. 21. When you hear the word “stack,” you immediately think of jewelry. Rings, bracelets, necklaces, even earrings—all made for stackin'. 22. You believe that no one whose name isn’t Kate, Naomi, Linda, Christy, or Cindy can truly be called a supermodel. And no, this isn't up for debate. 23. Track pants are not just something you wear to go running. Every fashion addict worth her salt knows there are tons of ways to wear these. 24. You no longer think of sneakers as just something you wear to the gym. Everyone knows sneakers are the new black. 25. 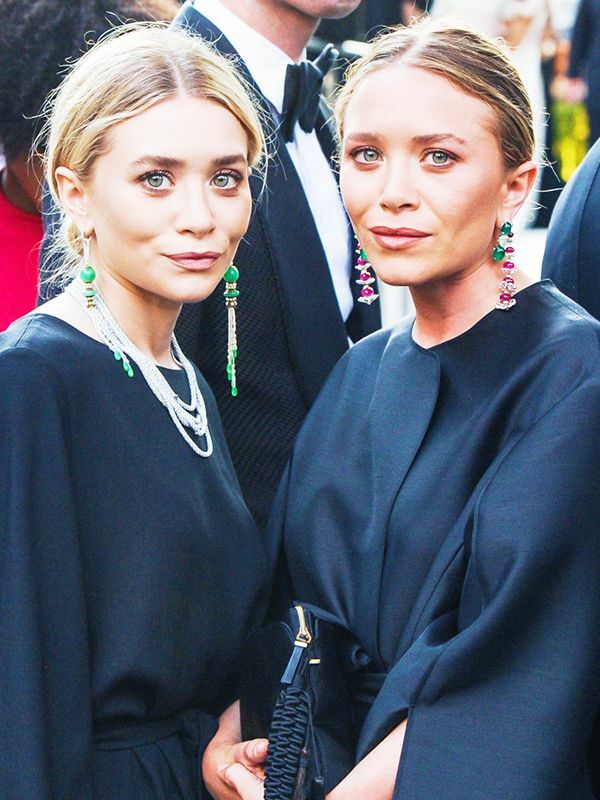 You can always spot which one is Mary-Kate and which one is Ashley—and could probably do so in your sleep. Do you think you're a fashion addict? Tell us your story in the comments below!